Fig. 2. The digital tools help students on the phonemic level, at word level, and at story level. Technology is presenting new opportunities for designers and educators to collaborate in developing tools to address issues in reading instruction. 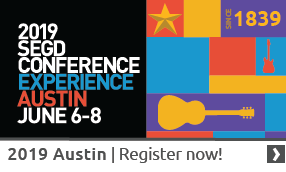 This paper shares a collaborative research study that leveraged visual communication design, reading literacy, and educational psychology research to help teach early reading skills through a multi-sensory experiential learning tool. See Word Reading™ explores the impact of multi-sensory letterforms on teaching beginning reading principles to children at risk of reading difficulties. It uses communication design principles for type and image to aid in the cognitive retention of concepts. The project randomly assigned kindergarten and first grade students from an urban afterschool program to either an intervention group that learned phonics with the iPad-based See Word Reading™ tool, or to a control group that used math-, science-, and art-focused apps on the iPads. This study demonstrates how collaboration and design problem-solving can contribute to addressing communication design problems and developing experiential learning methods. Due to the impact technology is having in our world, we have seen a shift in the role of communication designers. We are no longer solely artifact makers, but leaders in developing complex experiential systems (Polaine & Løvlie, 2013). Our work is no longer about merely designing products, but rather designing interactive experiences created through objects, both physical and virtual. Other disciplines are slowly beginning to understand the important role designers can play in solving their communication problems. The field of education is one such discipline, particularly in the design of reading interventions. This paper shares a research initiative that serves as a case study for how collaboration and design problem-solving can combine to help address complex communication design problems. It is 9 a.m., and you are sitting in your kindergarten class ready to learn, along with 24 other five- and six-year-old students. Your favorite teacher Ms. Smiley begins her reading instruction for the day: “Class please repeat after me, ‘the letter b says /buh/’ (class repeats), the letter a says /a/ (class repeats)…” After some time with this letter/sound correspondence drill, Ms. Smiley finishes the lesson. At the close of the school day she tells you goodbye and sends you home with a folder full of drill-based worksheets that afford you few meaning-based cues to help make the connection between these rote memorization exercises and the actual experience of reading a story. While this type of instruction may be effective for many children, it is not successful for those children who struggle to learn to read. In today’s media-rich environment, there are other ways of exposing children to early reading skills. As noted by Holum, “The ubiquitous quality of technology is nudging literacy instruction beyond its oral and print-based tradition to the embracing of digital tools that utilize typography, imagery, and interactivity” (Holum, 2001). Technology is changing the way reading is being taught and presenting new opportunities for collaboration between design and education, particularly in the development of tools that address issues of reading instruction. Originally, this research study started out as a master’s thesis, which consisted of analyzing a problem, defining a performance criteria for the problem, then ideating a series of visual and interactive studies exploring how to teach reading with touchscreen technology. From these small studies and several conversations with educational specialists, the See Word Reading™ team was developed. The team visualized two degrees of collaboration. The first involves a small interdisciplinary team consisting of two communication designers (I served as the principle investigator), a literacy specialist, and an educational psychologist. The second degree consists of an interdisciplinary team working with the school systems and undergraduates majoring in speech pathology. The undergraduates served as our teachers during the reading interventions and testing sessions. Working over several months, the first degree of collaboration was realized as the interdisciplinary team brought together the knowledge of their fields and the early ideation prototypes to developed See Word Reading ™, an experiential learning tool that explores the impact of multi-sensory letterforms on teaching beginning reading principles to children at risk of reading difficulties. Once the implementation and evaluation phase of the study began, the second degree of collaboration was realized as See Word Reading™ was implemented within school systems for testing. See Word Reading™ is a digital interactive tool that uses graphic and interactive communication design principles to provide photographic cues so students can concretely visualize the relationship of phonemic sounds to alphabetic letterforms. For example, if a student is presented with the letter “p” and cannot recall its sound, the student can trace the letterform in the way they have been taught to write, which triggers a series of photographic images that begin with the /p/ sound. 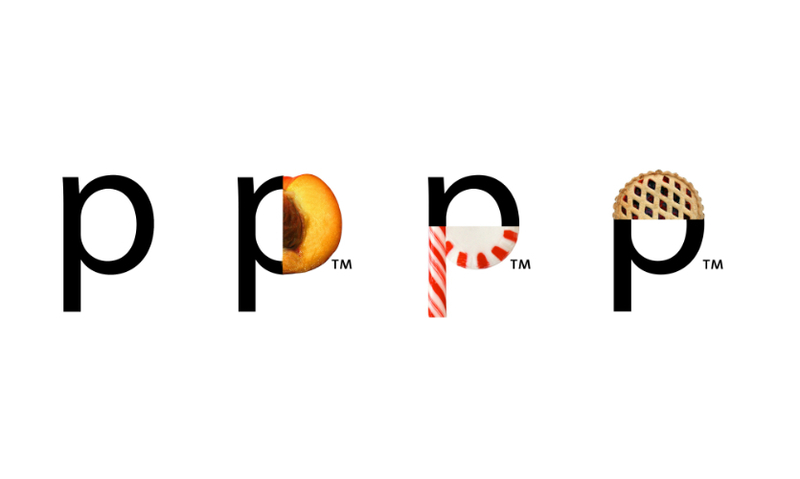 In particular, tracing the letter “p” initiates a sequence of images that appear over time, like peach, peppermint, and pie superimposed on the letter (see Figure 1). There are four levels within See Word Reading™: Phonemic Awareness, Word Family Word Building, Spelling, and Storybook levels. Within the Phonemic Awareness level, students are introduced to the visual cues that aid them in understanding the sound/letter correspondences. See Word Reading™ does not focus on the 26 letterS of the alphabet but the 44 common sounds of the English language. Students are asked to trace letters and/or letter pairs in order to access these embedded visual cues. Within the Word Family Word Building level, students begin building words that utilize the sounds they are learning. If they cannot recall the sound that belongs to a letter or letter pair, they can trace the letter(s) to dynamically initiate the visual cues. In the Spelling level, students are asked to spell words being spoke to them, utilizing digital sound tiles. If the student needs to access the visual cues at any point, they can initiate them within the sound tiles. Within the Storybook level, a story is read to the students, then they are prompted to touch the dynamic letters and/or letter pairs within the text that match the sounds they are being asked to find (Figure 2). These tools provide students and teachers with several learning innovations, including individualized learning experiences; self-directed learning that cues students to figuring out the sound /letter correspondence while in the context of reading; back-end data recording to help teachers identify where a student might be struggling; and multi-sensory learning experiences with letterforms. Typically, assistive reading technologies simply tell students the sound a letter makes and they must remember it. See Word Reading™ cues students to figure out the sound associated with the letter by prompting them to say the names of the photographic images aloud and listen for the repetitious sound found in the visual cues. The teacher can create individualized learning experiences for students based on their reading abilities are at that point, as opposed to just teaching to the average child’s abilities and hoping everyone else can catches up. The back-end capabilities that record all student interactions allow a teacher to identify where a student is struggling so that further interventions can be established to help the student learn. 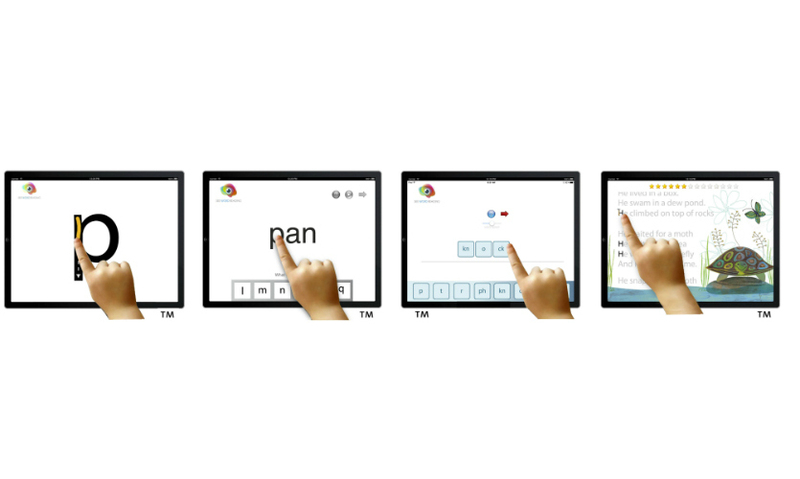 SeeWordReading tracks task completion times and records verbal and tactile interactions. Its ability to engage multiple senses capitalizes on the Montessori approach to teaching, which has been shown to be an effective method in helping struggling readers learn (Campbell, Helf, & Cooke, 2008). As the prototype was being developed, rigorous critique sessions were conducted with the interdisciplinary team, the school system, and the undergraduates majoring in speech pathology to ensure that the tool was actually addressing reading issues and was structured in a method supported by national reading standards. Once a prototype was developed, the team collectively applied for grants so that early usability and feasibility testing could begin. The first year of testing was defined as Usability Testing. Thirty kindergarten and first-grade students between the ages of 5 and 7 enrolled in after-school programming at Title 1 Cincinnati Public Schools took part in the testing. Students at these schools were defined as at-risk due to the fact that a large proportion of them (52%) are eligible for free and reduced-price lunch, and represent an at-risk population for reading-related difficulties due to environmental factors, including low income and/or limited educational experiences (e.g., Storch & Whitehurst, 2001). In addition, more than 50% of the students are minority, placing them at further risk. The tool was rendered on iPads. Each child had an iPad to work with during each intervention session. The undergraduates majoring in speech pathology were trained on the reading tool, then served as teachers working in small groups of 3-5 students for no longer than 30 minutes. The small groups met two times per week for 17 weeks. During each session, one designer and one educator were present to observe interactions with the tool. The small interdisciplinary team and undergraduate students met regularly to discuss problems with the tool. These meetings were co-creation sessions. It was important that the undergraduates had an equal voice in these sessions in order to ensure that the tool worked well for students and teachers. The problems that the undergraduate students encountered in the delivery of the lessons were just as important as the problems that the kindergarten and first grade students encountered. We documented and categorized the problems using note cards color-coded based on a continuum of importance—red denoting critical and green meaning future aspirations for the tool. The prototype would then be revised for testing in the next intervention session. After a year of testing in this manner, we finally had a prototype that functioned well for both student and teacher. The second year of testing focused on understanding the learning gains the kindergarten and first-grade students were making due to the See Word Reading™ tool. The small interdisciplinary team developed a randomized control research design, which meant that kindergarten and first-grade students from an urban afterschool program were randomly assigned to learn phonics with the iPad-based See Word Reading™ tool, or to a control condition where they used math-, science-, and art-focused apps on the iPads. Students were matched in pairs based on pre-test scores of letter-sound knowledge. Matched pairs were randomly assigned to one of the two groups (Clay, 2002). All participants were administered a series of educational and standardized tests at two time points during the school year to track their progress, and to obtain pre- and post- measures for the study. Testing results showed that the SeeWordLearning tool was particularly effective for kindergarteners, as all of the students in the SeeWord control group made gains in word identification. This suggests that creating direct relationships between type and image does aid in the retention of letter/sound correspondences. Additionally, study outcomes suggest that delivering the content through well considered multi-sensory experiential learning tools can create positive learning experiences. To date, the team is conducting another year of testing with five schools in Singapore and one school in the Cincinnati Public School system to obtain a larger sample size. Results will be available in Fall 2014. In addition to the findings of the broad research study, we allowed the undergraduate students from speech pathology to develop their own hypothesis on the effectiveness of the tool and report their findings in an undergraduate research symposiums. Their findings discussed the impact See Word Reading™ was having on vocabulary acquisition and spelling. Collaboration with the undergraduates was an excellent educational experience for them and provided an additional advantage when applying to graduate schools, as most undergraduates have no experience in research. As other disciplines are realizing that their communication problems are best addressed through the design problem-solving process, collaborations between designers and other disciplines are growing. Within these collaborations, communication designers should take the lead in determining how best to leverage our design problem-solving process to address communication problems. 3. Define a design problem and criteria. 5. Select the most viable solution to address the problem. 6. Implement the solution in a testing situation. Depending on outcomes at each stage of the process, the designer may need to go back to a prior stage and begin again. Collaboration can be defined as a recursive interactive process (Marinez-Moyano, 2006, p. 83). Essentially, the User Centered Design Theory calls for collaboration with the users and stakeholders throughout the design problem-solving process in order to arrive at an effective solution. But the best practice of integrating that collaboration can be challenging. At which time and to what degree should these collaborations occur? With the increasingly collaborative nature of design, new frameworks for collaboration must be defined and realized. In Essi Salonen’s A Designer’s Guide to Collaboration, she argues that different modes of collaboration should be used as projects move through the design process (Salonen, 2012, p. 14 ). Working from Pisano and Verganti’s “Two Dimensions of Collaboration,” Salonen developed a quadrant system chart that visualizes how different types of collaboration could be utilized through the design problem-solving process. The two dimensions of collaboration are openness (open to closed) and governance (flat to hierarchical) (Pisano & Verganti, 2008). Figures 3a and 3b explain the details of each dimension of Salonen’s quadrant system and how those dimensions could be paired at different stages of the problem-solving process. The See Word Reading™ team visualized collaboration in two degrees. The first degree was the small interdisciplinary team, and the second was collaboration among the interdisciplinary team and the school system and undergraduate students majoring in speech pathology. During the problem-solving process, different modes of collaboration, as well as different degrees of collaboration, were utilized. I assert that mapping different modes and degrees of collaboration to the problem-solving process is what aids in effectively addressing communication problems. During the acceptance and analysis stage of this study, the collaboration could be defined as flat and open to the second degree, meaning that the interdisciplinary team and the school system openly identified an audience and problem based on the initial visual and interactive studies developed during the master’s thesis. During the define stage, the collaboration was hierarchical and open to the first degree—the interdisciplinary team defined parameters for the study, which was to develop an experiential learning tool that explores the impact of multi-sensory letterforms on teaching beginning reading principles to children at risk of reading difficulties. During the ideation stage, the collaboration became hierarchical and closed in that the two designers, using graphic and interactive design principles, developed the digital tool. During the selection stage, the collaboration turned back to hierarchical and open to the first degree as the interdisciplinary team analyzed prototypes for their strengths and weakness to establish the best prototype for implementation and evaluation. 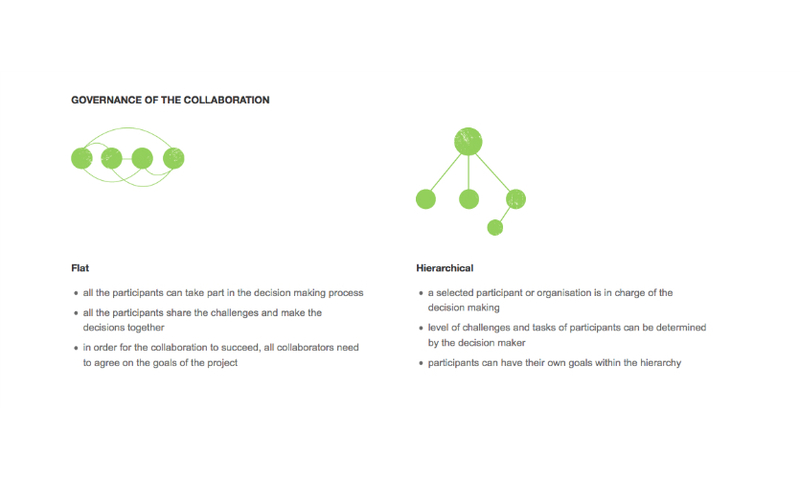 In the implementation and evaluation stage, collaboration became flat and open to the second degree. The interdisciplinary team, the undergraduate students, and the kindergartens and first-graders utilized the tool in order to understand how well the prototype was working. At the end of each year of testing, the team completed another cycle of the collaborative problem-solving process in order to build a more effective tool. The overlap of the design problem-solving process with differing degrees and modes of collaboration is what makes See Word Reading™ an effective innovation in reading interventions for struggling readers. When we typically see models of User-Centered Design, we see circular flow charts of the design problem-solving process with the user placed in the center. But how you collaborate with those users is often unclear. I assert that overlapping the design problem-solving process with differing degrees and modes of collaboration will make collaboration with other disciplines most effective and create valuable contributions toward addressing communication design problems. Reneé Seward is an assistant professor at the University of Cincinnati's College of Design, Architecture, Art, and Planning. She has been teaching typography, exhibition design, and print design in DAAP’s Graphic Communication Design program for the last seven years. Her research focuses on the development of digital and physical multimedia sensory tools that seek to address literacy problems in our society. The digital tools help students on the phonemic level, at word level, and at story level. Campbell ML, Helf S, Cooke NL (2008). Effects of adding multisensory components to a supplemental reading program on the decoding skills of treatment resisters. Education and Treatment of Children 31:267-95. Clay MM (2002). An observation survey of early literacy achievement, 2nd ed. Portsmouth, NH: Heinemann, 2002. The-design-process/> [accessed 1 May 2012]. Koberg D, Bagnall J (1981). The all new universal traveler: a soft-systems guide to creativity, problem-solving, and the process of reaching goals. Los Altos, Calif: W. Kaufmann, 1981. Marinez-Moyano IJ (2006). Exploring the dynamics of collaboration in interorganizational settings, Ch. 4, p. 83. In: Schuman S (ed. ), Creating a Culture of Collaboration. Hoboken, N.J.: Jossey-Bass, 2006. Pisano GP, Verganti R (2008). Which collaboration is right for you? 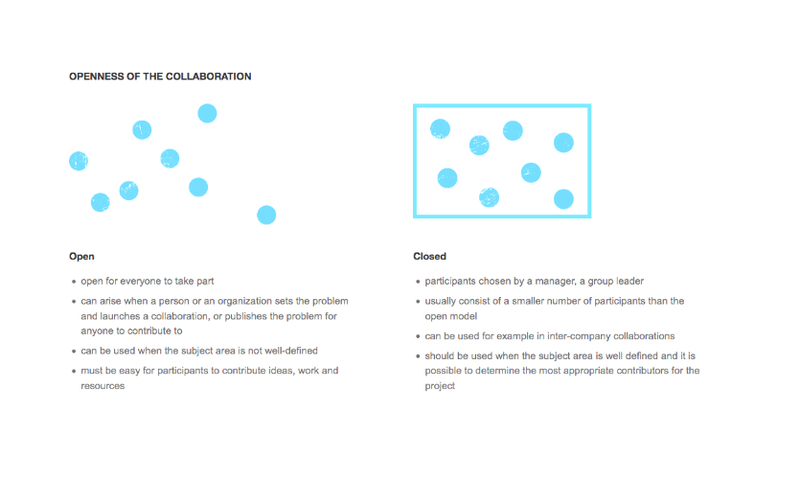 In: Harvard Business Review on collaborating effectively (2011). 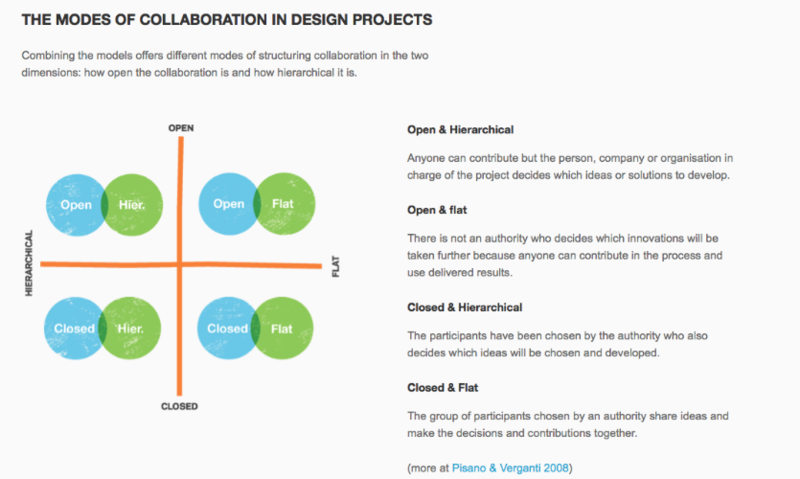 Also available from: URL: http://hbr.org/2008/12/which-kind-of-collaboration-is-right-for-you/ar/1 [accessed 1 May 2012]. Polaine A, Løvlie L, Reason B (2013). Service design: from insight to implementation. Kindle ed., Rosenfeld Media. Salonen E (2012). A designer’s guide to collaboration. Available from: URL: http://www.designingcollaboration.com [accessed 23 Sep 2014]. Storch SA, Whitehurst GJ (2002). Oral language and code-related precursors to reading: evidence from a longitudinal structural model. Developmental Psychology 38:934-47.